Idol makers took inspiration from the Prabhas Baahubali craze that has gripped the nation and recreated the popular Lord Ganesha in the iconic poses of Amarendra Baahubali, much to the delight of fans. 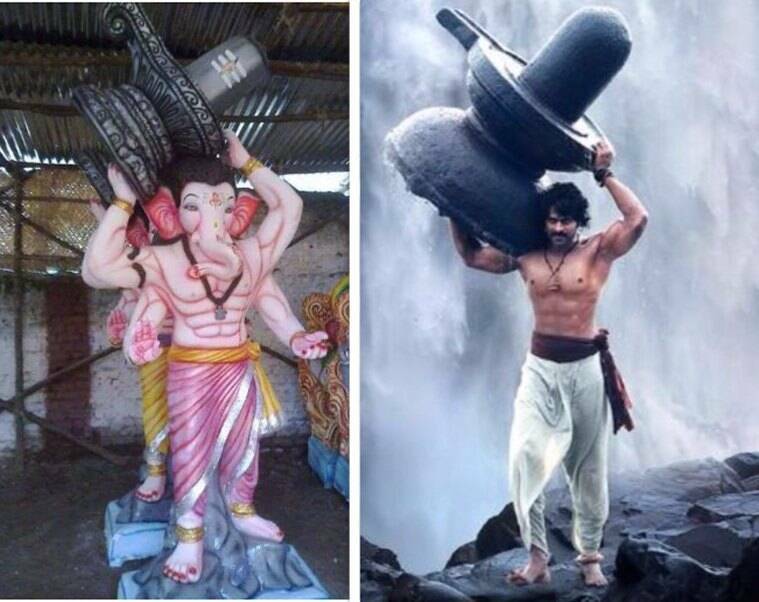 When Lord Ganesha met Amarendra Baahubali! Even months after SS Rajamouli’s Baahubali 2: The Conclusion created waves across not only India, but the world, its protagonist Prabhas continues to rule the hearts and minds of fans. So much so, that this year for Ganesh Chaturthi, we saw many Ganpati idols inspired by the various Baahubali poses from the movie. Ganpati idols in various shapes or sizes are not new, but this this year we’ve seen a number of Baahubali themed Ganpati idols as the last of the visarjans took place across the country on Tuesday, September 5. Baahubali took the country by storm with the first film Baahubali: The Beginning in 2015, which left the huge question of ‘Why did Katappa kill Baahubali?’ hanging over our heads for almost two years. So when the second instalment of the magnum opus released, there was a craze for both the actor as well as the film like never before. Leaves were applied for, tickets were booked in advance, fan theories (quite akin to the ones doing the rounds for Game of Thrones) were abound till Baahubali 2 actually released this year. Idol makers across the country, who often take inspiration from ongoing fads and current affairs, were no less affected by the Prabhas Baahubali fever and many of them made idols that mimic the iconic poses by mainly Amarendra Baahubali. Not only that, scenes were also created that included statuettes of Devasana (played by Anushka Shetty in the movie). Of course, these renditions delighted fans, who readily shared photos of their favourite god in an avatar of their favourite character on various social media platforms. Check out some of them here. 3 5-yr-old finds 3ft-long PYTHON in TOILET!